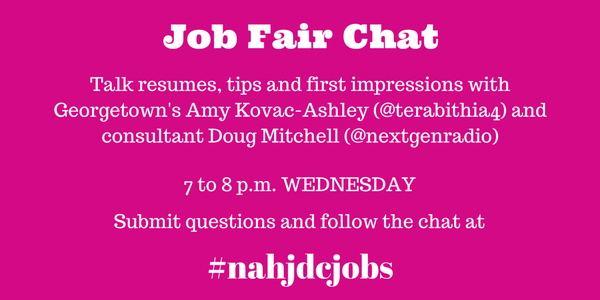 Did you miss our Twitter career chat? Below is a storify with some highlights from the event. Special thanks to Amy Kovac-Ashley from the Journalism Program at Georgetown University and Doug Mitchell from NPR for joining us and offering great career tips.